Home » Cancer » Is Your Cell Phone Giving You Cancer? If you use a cell phone, you may have been shocked to learn the results of a major study released late last week. Garnering all kinds of buzz on the Internet, a long-term study conducted by the U.S. National Toxicology Program has found an association between cell phone radiation and cancer. But don’t panic. 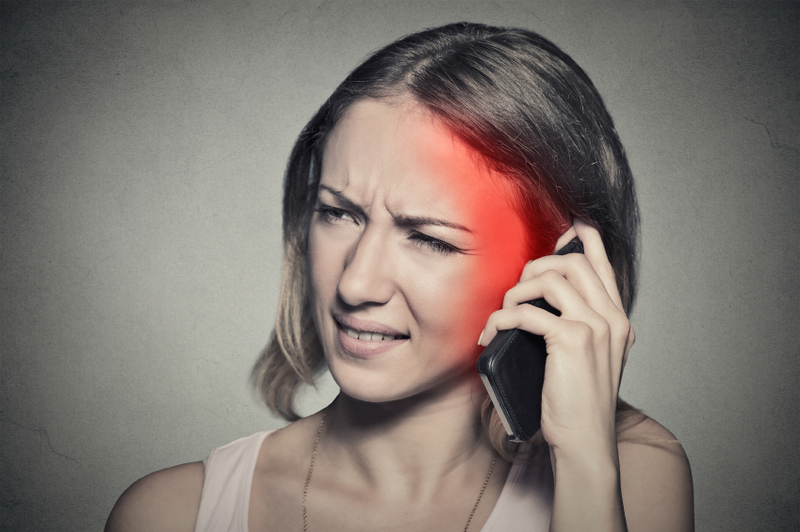 This news isn’t actually new, as the World Health Organization classified the electromagnetic fields created by cell phones as possibly carcinogenic quite some time ago. It should be noted that the findings by both parties show a mere association and that there are no guarantees that cell phones cause cancer, as many headlines are suggesting. But that doesn’t mean you shouldn’t reconsider your cell phone usage. I’m not talking about throwing it away and never laying hands on it again, but keeping it at a safer distance from your head is likely a good idea. The study released last week looked at the effects of two types of radiofrequency radiation on cancerous tumor growth in rats. Using two major cell phone radio systems—global systems for mobiles and code division multiple access—the researchers looked for links to the formation of two types of tumors by exposing rats to various frequencies and strengths. The results indicated that roughly three percent of male rats developed tumors when exposed to high levels of radio frequencies, regardless of which system it was coming from. Interestingly, female rats were not affected by exposure. The results seemed linear, in the sense that the more the rat was exposed, the more likely they were to get cancer. At the end of the day, two or three percent is not a substantial number, but considering how many people have cell phones it could affect a vast number of the population. That said, results in rats don’t necessarily translate to humans, either, so more work needs to be done. But this should be something that impacts how you use your cell phone. Limiting the time spent holding your phone to your ear may reduce some risk of cancer, so either cutting down on talk time, using an earpiece, or simply using your phone’s speaker function should help. Please keep in mind that much more research must be completed before there is clear evidence that cell phone usage causes cancer. So take this as a warning, but don’t panic! Wyde, M., “Report of partial findings from the National Toxicology Program Carcinogenesis Studies of Cell Phone Radiofrequency Radiation in Hsd: Sprague Dawley rats (whole body exposure),” Bio Rxiv, May 25, 2016; doi: http://dx.doi.org/10.1101/055699. Weeks, C., “What a major new study really tells us about cell phones and cancer,” Globe and Mail web site, May 27, 2016; http://www.theglobeandmail.com/life/health-and-fitness/health/what-a-major-new-study-really-tells-us-about-cellphones-and-cancer/article30190423/?click=sf_globefb, last accessed May 30, 2016.